Background: Persistent atrial fibrillation (AF) is difficult to treat. In the absence of class I or III antiarrhythmic drugs sinus rhythm is maintained in only 30% of patients during the first year after electrical cardioversion (ECV). One of the remodeling processes induced by AF is fibrosis, which relates to inducibility and maintenance of AF. The renin-angiotensin system may play a important role in this. The aim of this study was to investigate the role of angiotensin-converting enzyme (ACE) inhibitor use on efficacy of ECV, and occurrence of subacute recurrences. Methods: One hundred-seven consecutive patients with persistent AF underwent ECV. In twenty-eight (26%) patients ACE inhibitors had been started before initiation of the present episode of AF ('pre-treated' patients). 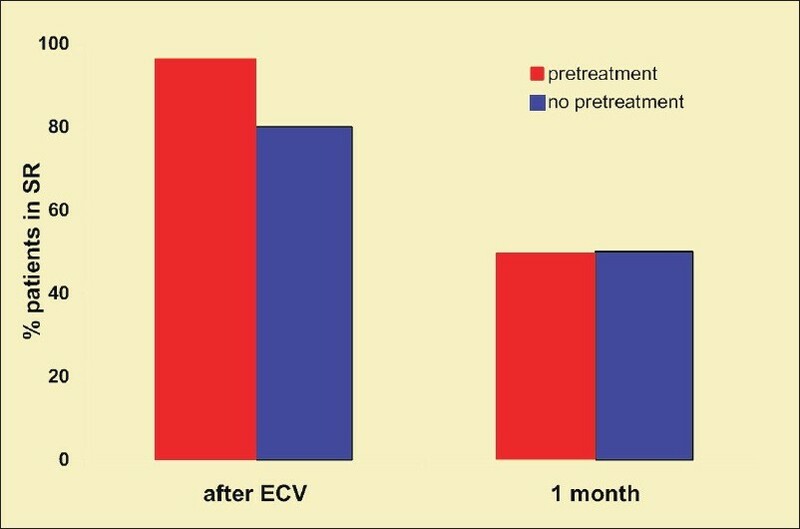 Results: ECV was successful in 96% of patients who were on ACE inhibitors before start of the present episode of AF compared to 80% of the patients not pre-treated (p = 0.04). After 1 month of follow-up 49% of the pre-treated patients and 50% of those not pre-treated with ACE inhibition were still in sinus rhythm (p=ns). 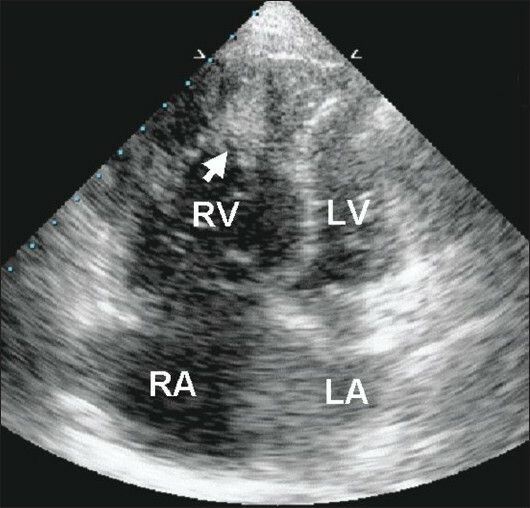 Multivariate analysis showed that pre-treatment with ACE inhibitors and a smaller left atrial size were independent predictors of successful ECV (OR = 5.8, C.I. 1.3-26.1, and OR = 5.6, C.I. 1.2-25.3, respectively). Conclusions: Pre-treatment with ACE inhibitors may improve acute success of ECV but does not prevend AF recurrences. Background: Certain conditions characterized by blood vessel occlusion or vascular spasm, have been found to cluster together in epidemiological studies. However, the biological causes for these associations remain controversial. This study used a classical twin design to examine whether these conditions are linked through shared environmental exposures or by a common underlying genetic propensity to vasospasm. 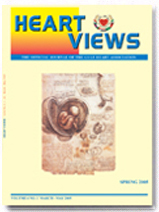 Methods: We investigated the association between hypertension, migraine, Raynaud's phenomenon and coronary artery disease in twins from a national register. Phenotype status was determined using a questionnaire and the genetic and environmental association between phenotypes was estimated through variance components analysis. Results: Responses were obtained from 2,204 individuals comprising 525 monozygotic and 577 dizygotic pairs. There was a significant genetic contribution to all four traits with heritability ranging from 0.34 to 0.64. Multivariate model fitting demonstrated that a single common genetic factor underlies the four conditions. Conclusions: We have confirmed an association between hypertension, migraine, Raynaud's phenomenon and coronary artery disease, and shown that a single genetic factor underlies them. The demonstration of a shared genetic factor explains the association between them and adds weight to the theory of an inherited predisposition to vasospasm. Background: Statins are cholesterol-lowering drugs that are widely used to reduce the risk of cardiac infarction. Their beneficial clinical effects, however, are not restricted to their influence on cholesterol production. As several studies have shown that they have a potency of relaxing blood vessels. Methods: We measured the effects of statins on the intracellular free calcium concentration ([Ca2+]i) in human umbilical vein endothelial cells (HUVEC) after acute application and 24-h-preincubation of statins. Results: Incubation of the cells for 24 h with cerivastatin or fluvastatin significantly increased the resting [Ca2+]i. For cerivastatin this effect manifested at a concentration of 1 ΅M. Increase of resting [Ca2+]i in the presence of cerivastatin also occurred when the nitric oxide synthase was inhibited. Transient Ca2+ release induced by histamine was not affected. 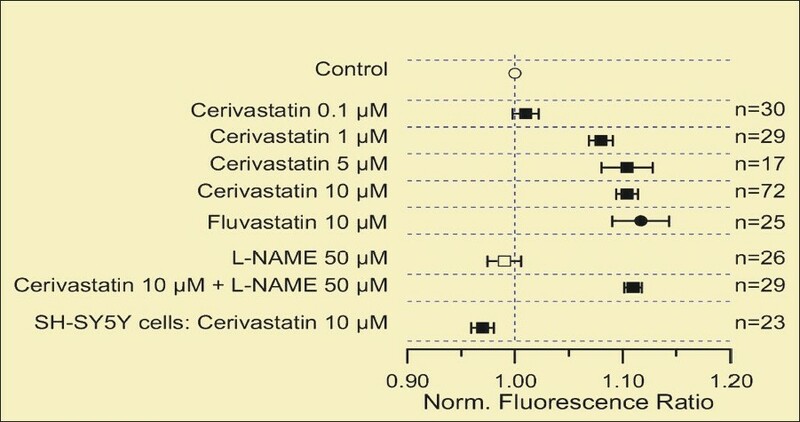 Conclusions: The increase of resting [Ca2+]i after incubation with cerivastatin or fluvastatin may provide an explanation for the direct effects of statins on the endothelial-dependent vasodilatation and restoration of endothelial activity in vivo.